The primary goal of foster care is to provide a safe, temporary place for children to live until they can be in a permanent home. A permanent home may include being reunified with the biological parents, legal placement with a relative or court approved guardian, or adoption. Children enter foster care when a department of human services files a juvenile petition outlining the reasons why a child cannot remain in their own home AND a judge signs a non-secure custody order. When these two things occur, children are placed in the legal custody of a department of human services. Court hearings occur on a regular basis as set forth by state and federal law. While children are in the legal custody of a department of human services, services are provided to the child and parents to ensure the child can be reunified with the biological parents. These services are provided and monitored by a foster care social worker from a department of human services with oversight by the court system. If it is determined that a child cannot be reunified with the biological parents, services will continue to ensure that the child achieves legal permanence as quickly as possible. Cabarrus County is not an adoption agency. Children in the legal custody of the department are placed in temporary living arrangements with the ultimate goal being reunification with the biological parent. If reunification cannot occur and the child is cleared for adoption, the placement provider may be considered as an adoptive placement at that time. Rather than treating the youth as an object who has no say in decisions, Cabarrus County Department of Human Services representatives interact with the youth as a resource, a person with unique experiences and abilities who can become self-sufficient if given needed information, caring adults and a supportive environment. Youth in the LINKS program may have a goal of Another Planned Permanent Living Arrangement (APPLA). 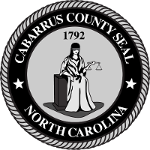 Cabarrus County Department of Human Services licenses foster families to provide temporary protection and care of children who are in the legal custody of the department and who must live apart from their biological family for a period of time due to abuse, neglect or dependency. Extensive training and home consultations occur over a period of 10 weeks to prepare families for their critical role in caring for children. Licensing standards set forth by the state guide the department in determining eligibility/suitability of those wishing to become foster parents. For more information on fostering in Cabarrus County, view our brochure here. View guidelines of North Carolina Child Placement Services here.